This story appears courtesy of Rosie White and first ran on Raw Stories by Rosie. I stepped back and pondered. I felt a little flushed. I should know the answer to this question but I don’t think I’d ever verbalized it before. This could possibly be one of the most important and valuable lessons of my soccer career. At the time my answer was surface deep, and I wish I had said something more thoughtful like, “Through soccer I have learned how to be courageous.” It sounds profound, but it’s simple. I was given a metaphor that has helped me to be a more courageous person. When you’re faced with a challenge or a question, you have the choice to respond with your courageous, brave lion, or your fearful and conforming lamb. I am no master of courage, but I recognize courage and fear in myself and I am working on bringing my lion to the table and leaving my lamb behind. A slight fear of public speaking made me nervous to talk with the group, but their raw excitement and pure energy was infectious. Sometimes this kind of joy can be misplaced in professional environments, so immediately I appreciated the incidental reminder of why I still play. That reason is simple and it’s because I love it, just as these kids do. The kids came from different walks of life, a lot of them don’t speak English as their first language. 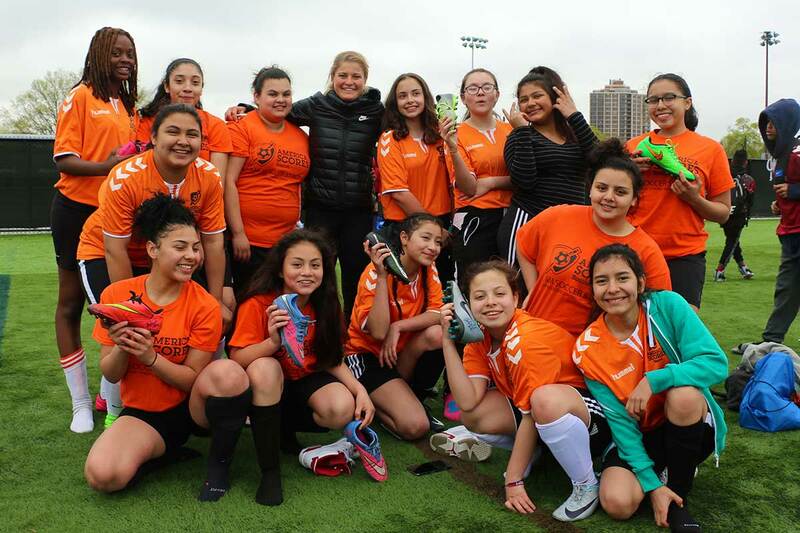 I couldn’t pretend to understand the kind of struggles or realities they’ve faced in their lives, but we were united through soccer and barriers like gender, race, or age suddenly became less robust. Initially I was nervous that I wouldn’t be able to connect with these kids because our lives are very different from one another. It turns out my apprehension was pointless because when I made an effort to step outside of my comfort zone and talk, I suddenly became vulnerable and open. I wanted to know more about these kids than they did me and speaking with some of them and hearing their stories gave me a real connection to America Scores and the experience as a whole. As always, the most memorable and most important component of this is the people, the kids in the program, and the people who make it all happen. America SCORES encapsulates the importance of sport, education, and community. I love how soccer is a universal vehicle that can be used to encourage kids to be active, to work in a team, to experience competition and challenge, and how to be a gracious winner or courteous loser. It is also encouraging these kids to be courageous — physically, mentally — in their communities. Not only is Yasmime knowledgeable about everything going on in the women’s sporting world, she is taking action! She is writing a children’s book about Abby Wambach’s story so that she can inspire and empower others. 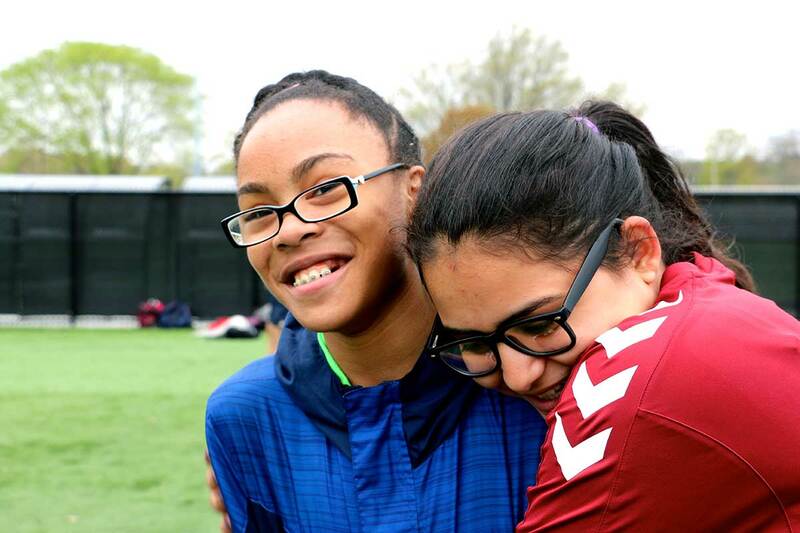 Yasmim is passionate, confident, and intelligent, a great role model and teammate. It was a pleasure to meet her! I look forward to getting involved in the program again soon! 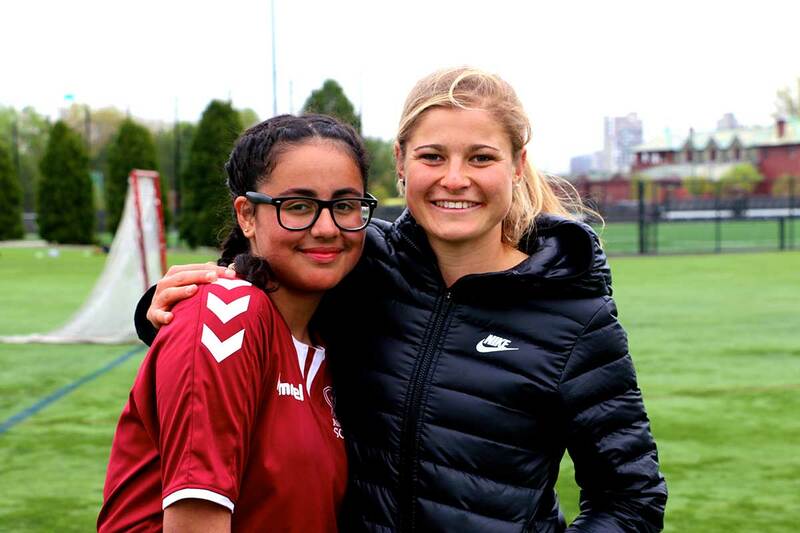 Rosie White is an attacking midfielder with the Boston Breakers and the New Zealand National Team. She graduated from the University of California, Los Angeles in 2015 with a degree in sociology. White has competed in eight major FIFA events, including two Olympic Games (2012 and 2016) and the 2011 and 2015 World Cup tournaments. 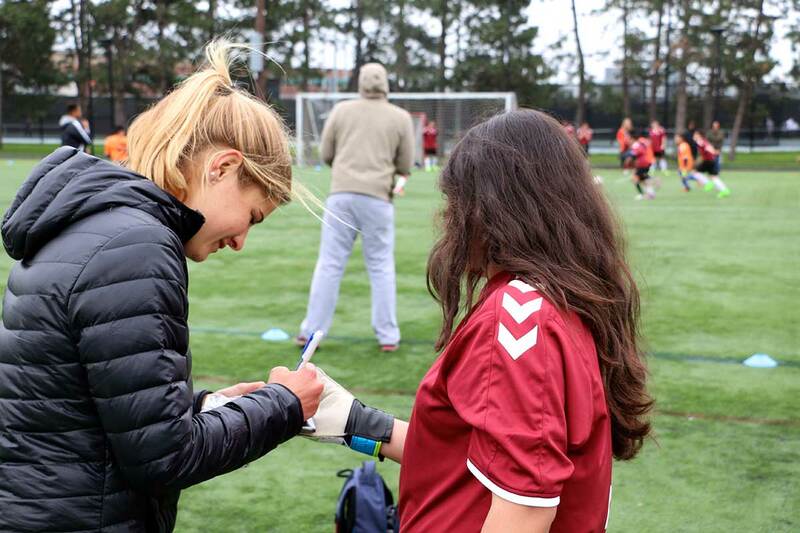 Her interests outside of soccer integrate a variety of creative outlets including photography, art, and storytelling. You can follow White on Twitter at @rosiewhite, or Instagram at https://www.instagram.com/rawstoriesbyrosie. In addition, visit Raw Stories by Rosie for more storytelling from White.